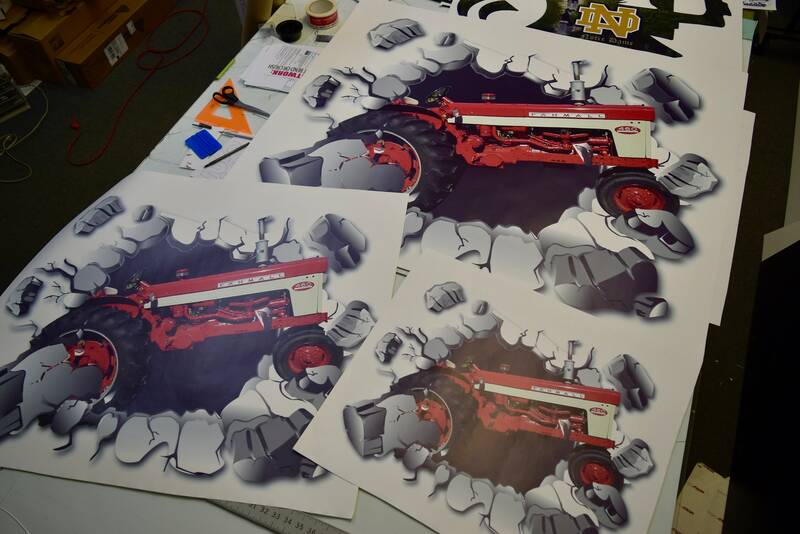 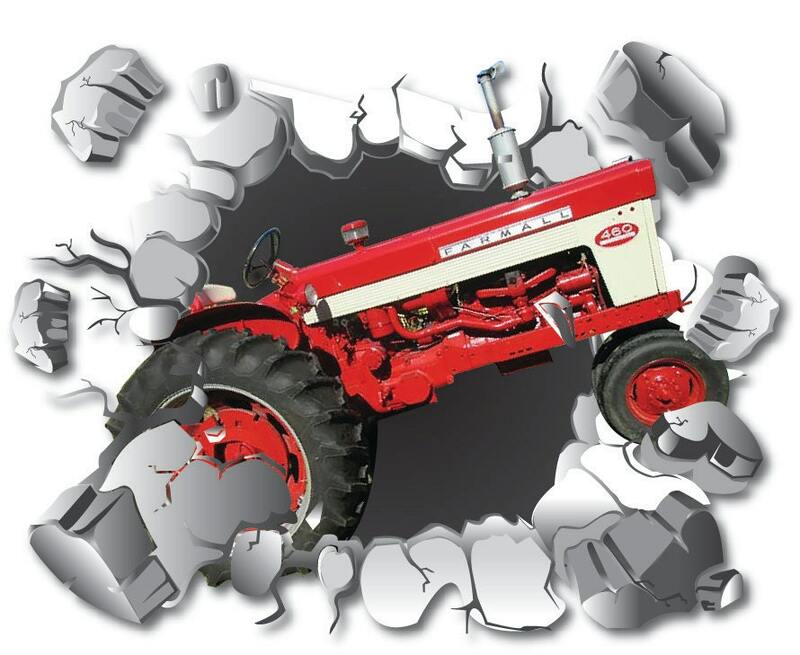 This Formall 460 Tractor decal was designed with farming in mind. 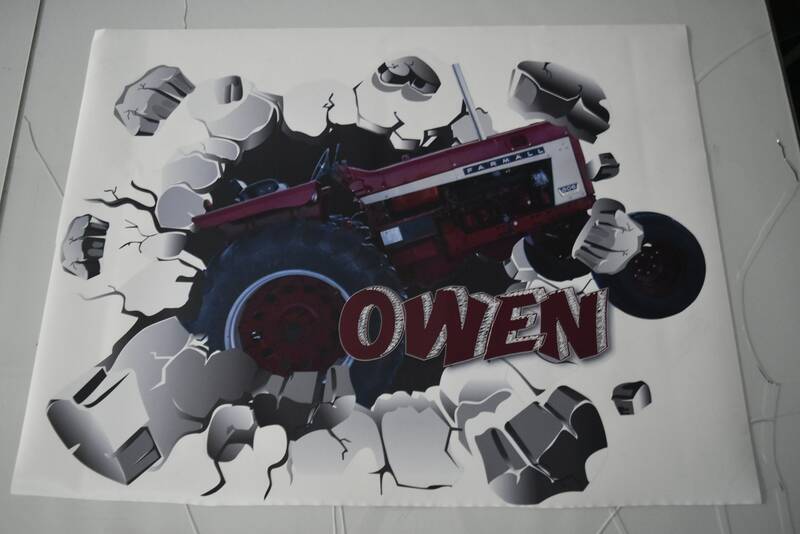 Printed in full color, it comes in multiple sizes and would look great in any Man Cave, Boy's Bedroom or Barn. 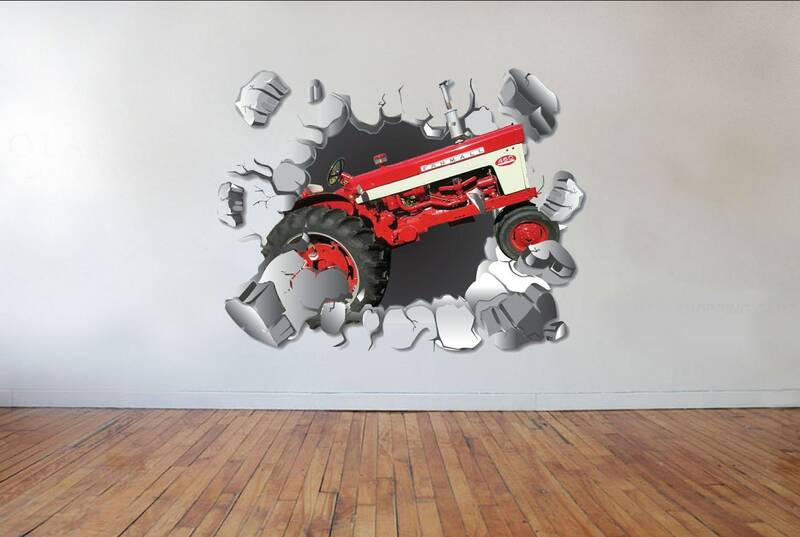 This is an actual photo of the tractor with a cartoon style busting wall graphic around it. 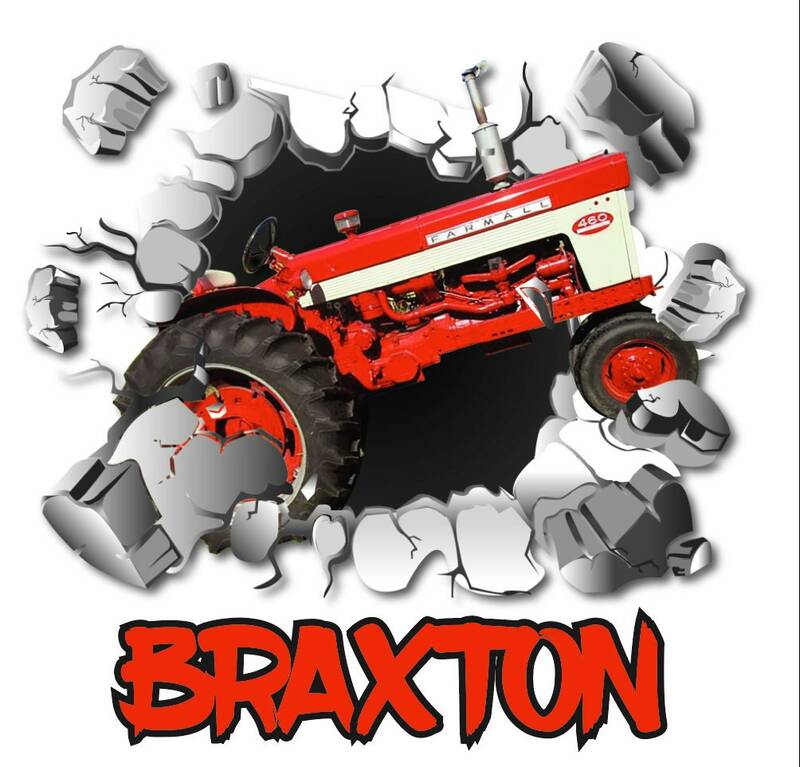 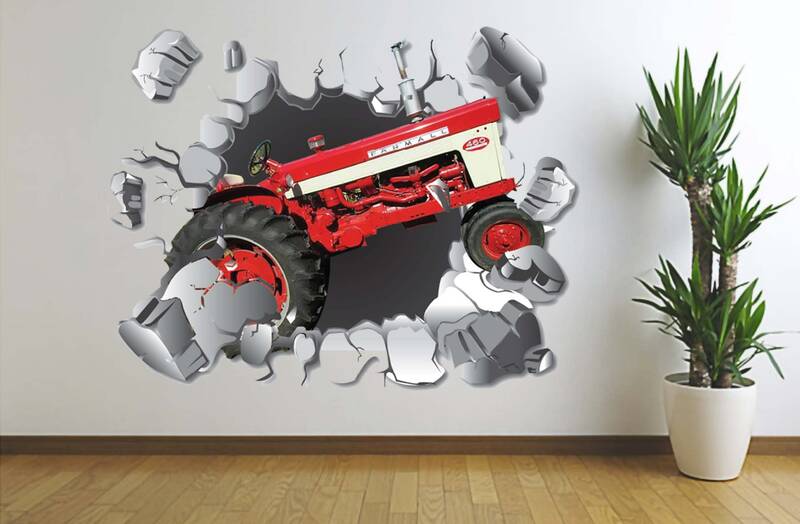 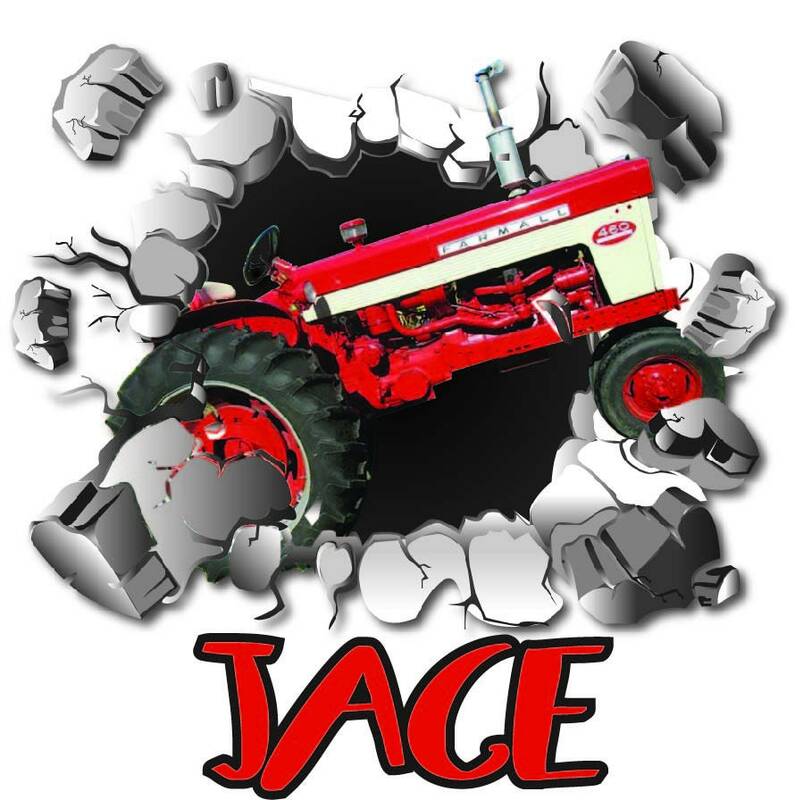 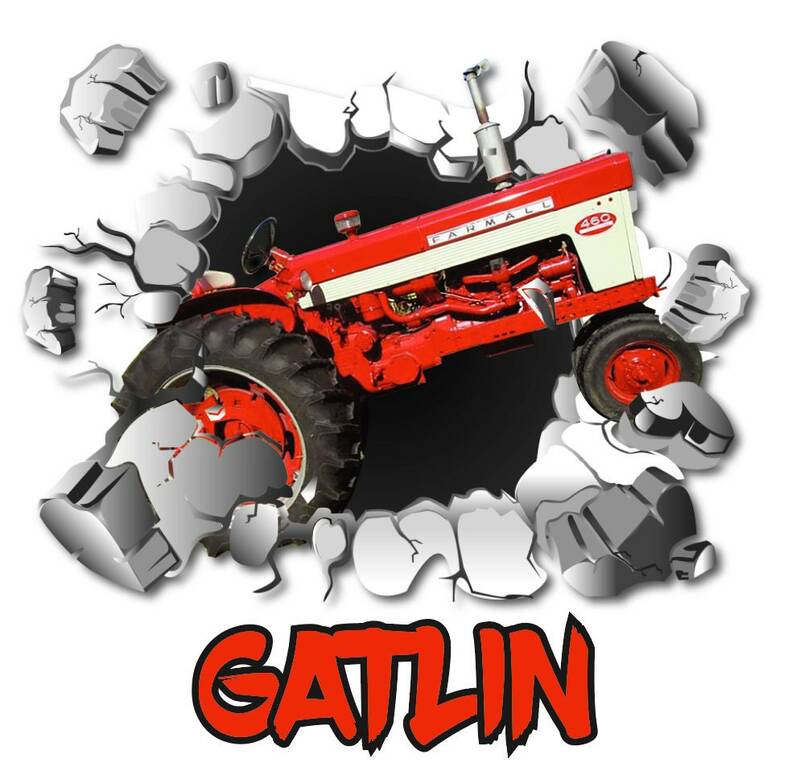 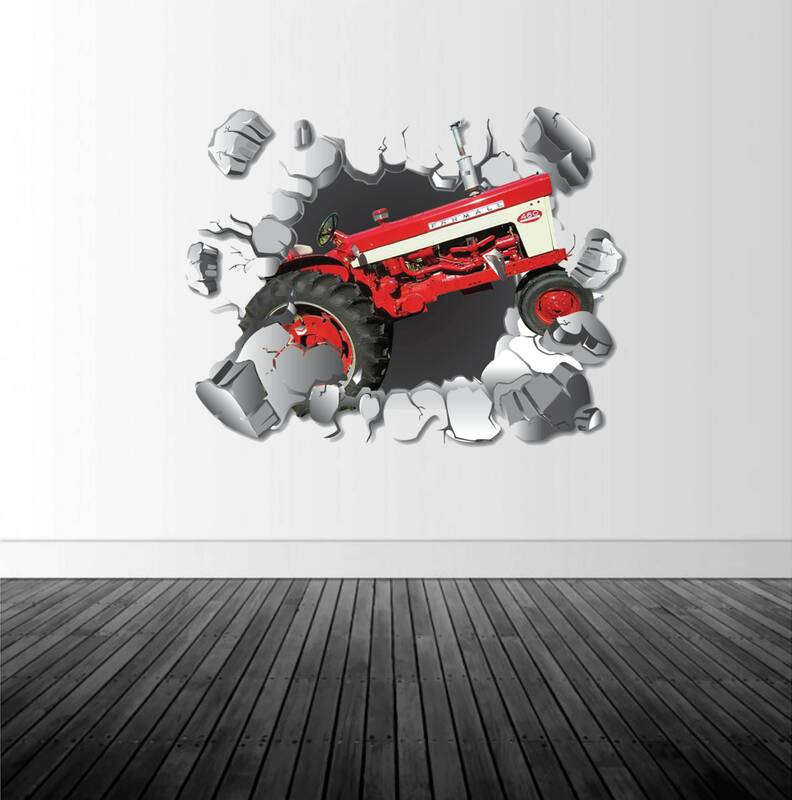 It is a fun, bold statement for your favorite tractor lover! 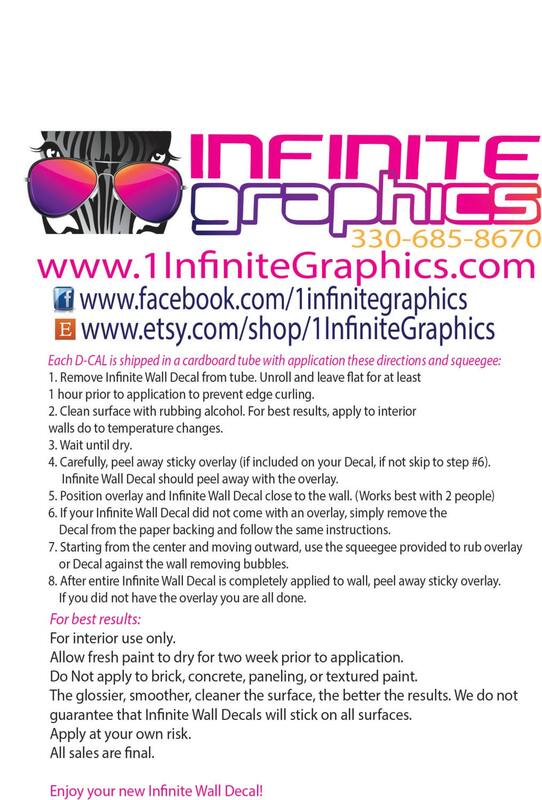 This decal can also be personalized with a person or business name at no additional cost.